In the early morning of August 5, 2017, Robert and his partner were dispatched to a male patient that had fallen into a river while rappelling at Frustration Falls, a very remote area of the Mt. Hood National Forest. The patient was reported to still be in the water with a compound leg fracture. Rescuers initially estimated that it would take 6–10 hours to get the injured man out of the canyon because of the sheer length of rope required. However, due to the remote location, difficult terrain, and an inability to communicate by phone or radio, the rescue estimate ballooned to 24 hours. Robert hiked miles to locate the patient. Once on scene, Robert then began treating his injuries, administering medications, and working to keep the patient warm and comfortable. With no ability to communicate due to the remote location, Robert stayed with the patient until a Black Hawk helicopter could be activated to extract them the next morning. For 17 of Robert’s 19-year career in EMS, he has been proud to participate in the Reach and Treat team. 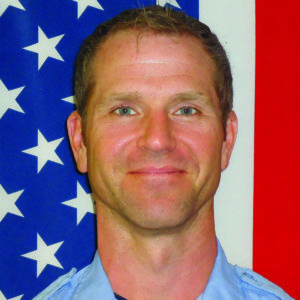 Robert is also an Ultra Runner and a personal trainer, and has recently started training the patient that he saved that day. In recognition of his bravery and dedication, we are proud to call Robert Aberle a 2018 Star of Life.